I THOUGHT I SAW A TERROR SAUR! 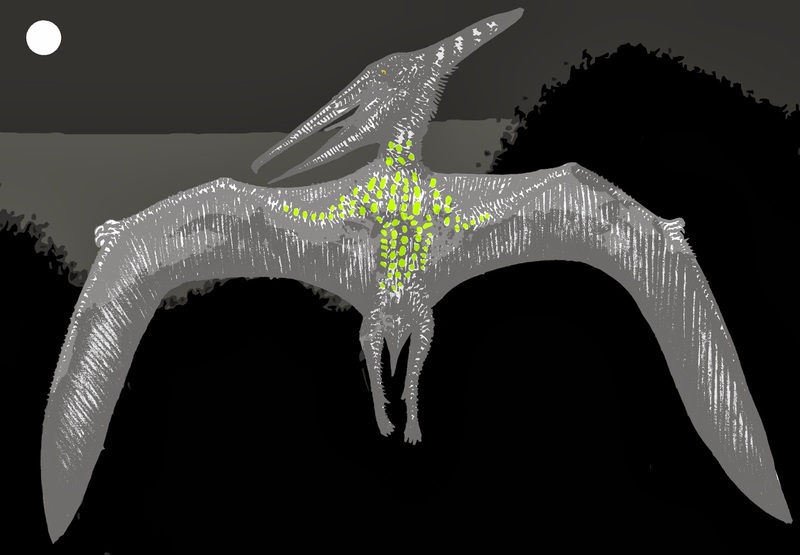 – DO PREHISTORIC FLYING REPTILES STILL EXIST? 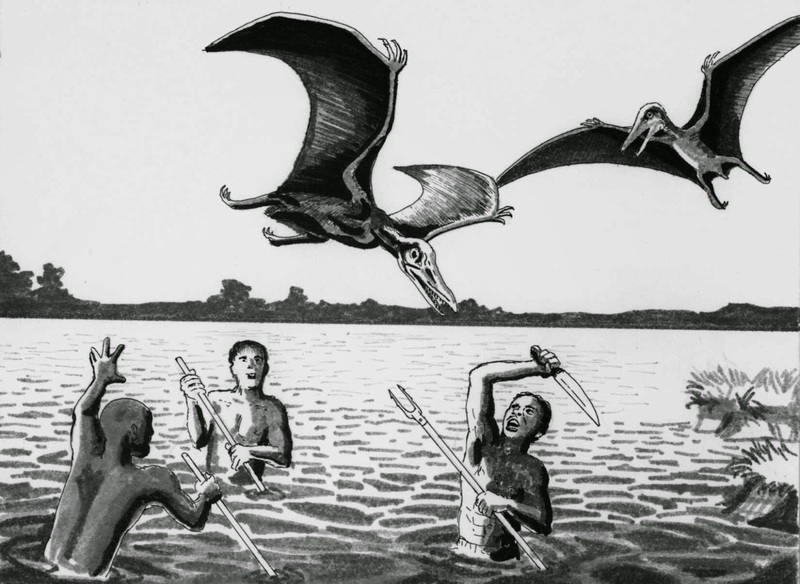 Are there living pterosaurs in Zambia’s swamplands? 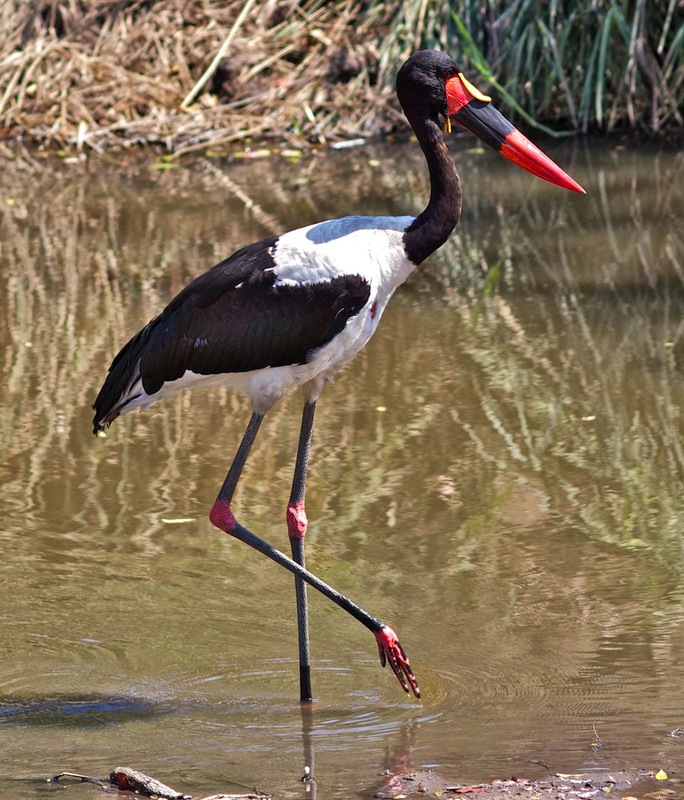 At much the same time, accounts of an identical mystery beast were also emanating from a comparably dense, inhospitable swamp in Southern Rhodesia (now Zimbabwe), and during the 1940s game warden Captain Charles R.S. 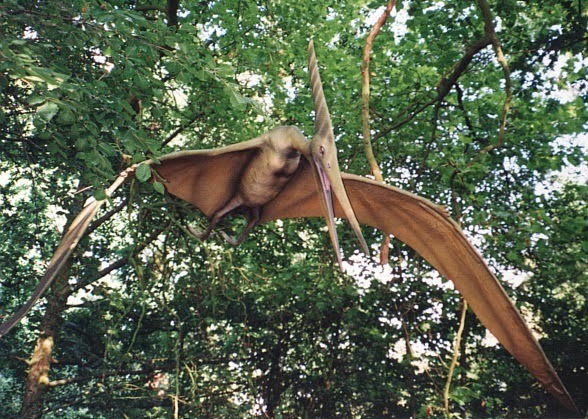 Pitman referred to the reputed existence of a pterodactyl-like creature amid swamp forests near the border of Angola and the Belgian Congo (now the Democratic Congo). 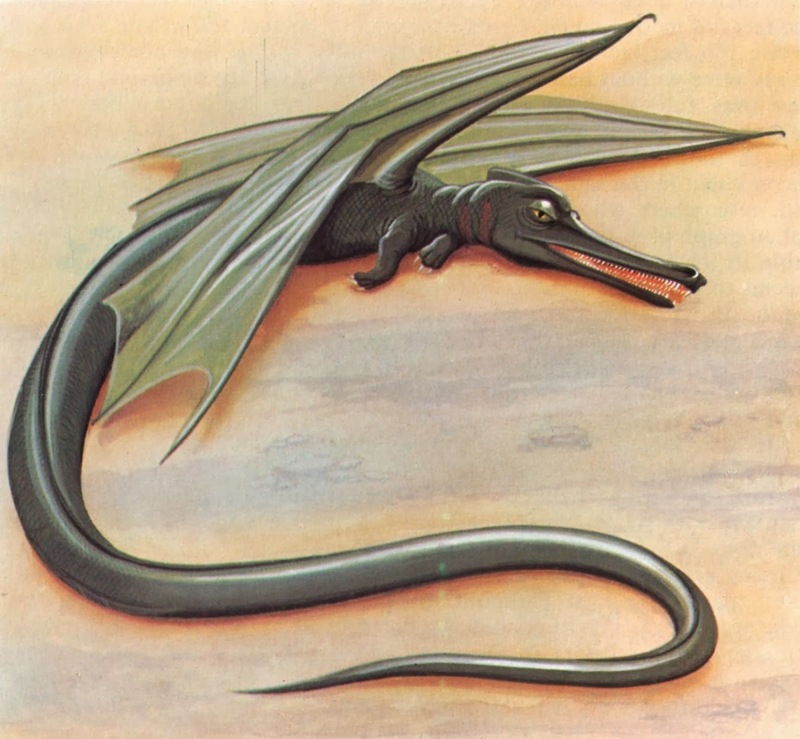 So-called flying dragons were even mentioned by celebrated South African ichthyologist Prof. J.L.B. 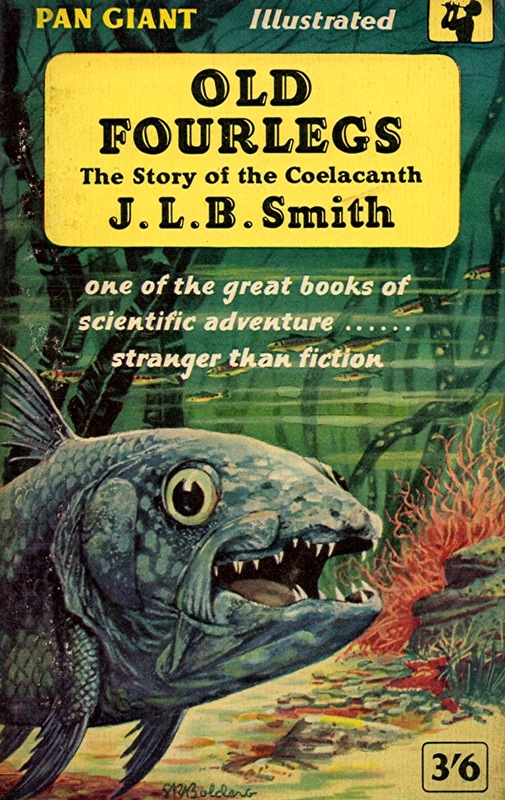 Smith – immortalised as the co-discoverer of another prehistoric survivor, the lobe-finned coelacanth fish back in 1938. In his book Old Fourlegs(documenting the coelacanth’s discovery), he noted that the descendants of a missionary who had lived near Mount Kilimanjaro in East Africa had long heard reports and claimed sightings of such beasts from the local people. 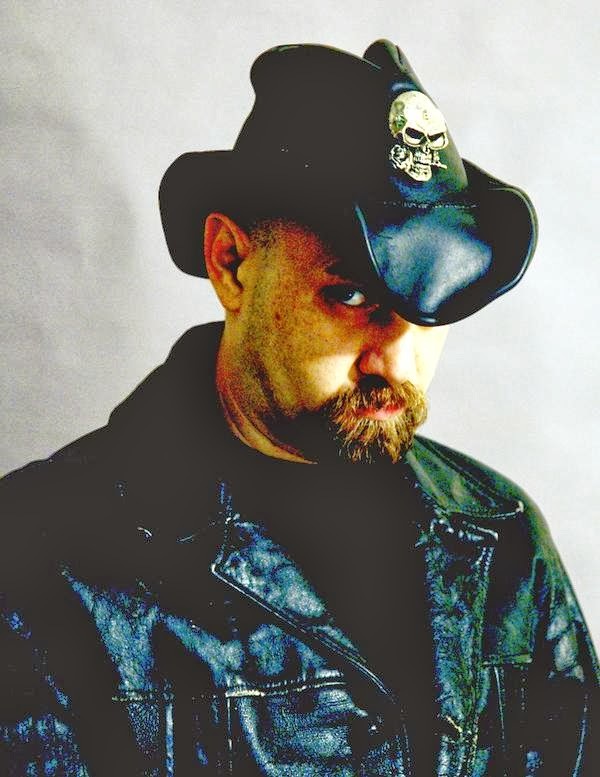 Prof. Smith was even bold enough to state: “I did not and do not dispute at least the possibility that some such creature may still exist” – and, as someone who had recently resurrected another prehistoric lineage from many millions of ‘official’ extinction, his opinion could not be readily discounted. 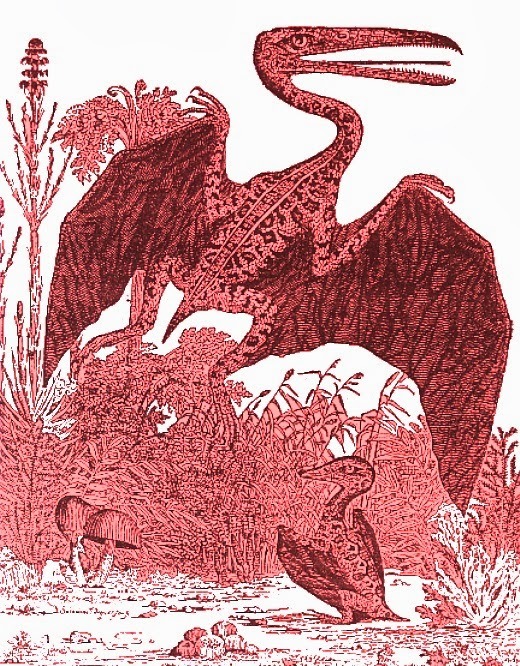 During the 1950s, there was much correspondence in Rhodesian newspapers on the subject of living pterosaurs, in which several zoologists, but most notably Dr Reay Smithers – director of Southern Rhodesia’s National Museum – attempted to dismiss such a notion by offering various modern-day candidates as the identity of these winged wonders. The most popular one was the shoebill Balaeniceps rex – a large superficially stork-like bird with an enormous beak, and a very impressive wingspan, which can indeed appear deceptively prehistoric when seen in flight, especially by someone not familiar with this unusual species. However, also on file are reports of natives claiming to have been attacked and severely wounded by the kongamato when it has stabbed them with its long beak – something that the shy shoebill, whose beak is in any case the wrong shape to accomplish such a deed, is unlikely to do. Moreover, at much the same time, while working in the Zambezi Valley, Daily Telegraphcorrespondent Ian Colvin not only saw but actually photographed what was later claimed by one observer to be a pterodactyl. 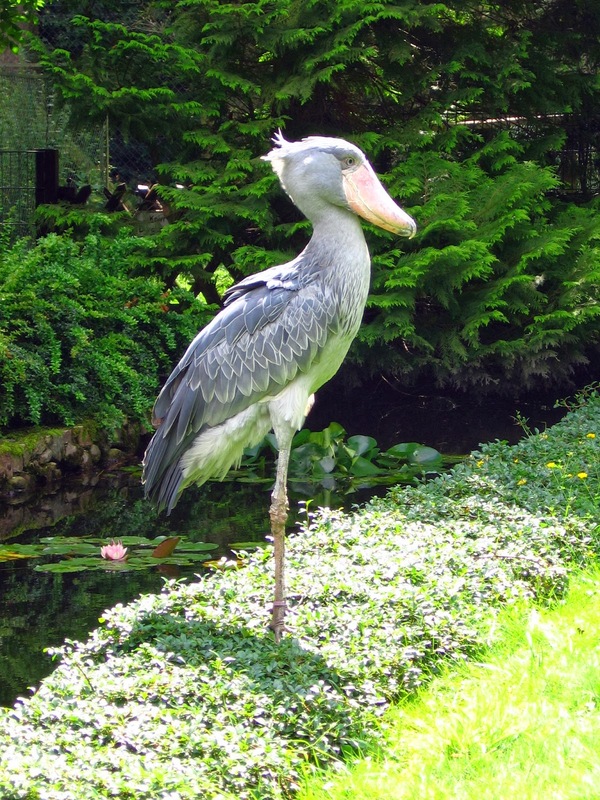 Zoologists disagreed, some stating that it was a shoebill, others a saddle-backed stork Ephippiorhynchus senegalensis – a tall bird with a very long beak that could certainly cause the kind of chest injuries noted above but which bears no resemblance to a pterosaur (or, incidentally, to a shoebill). Nor can a mammalian identity, such as a bat or gliding rodent, provide a convincing answer. 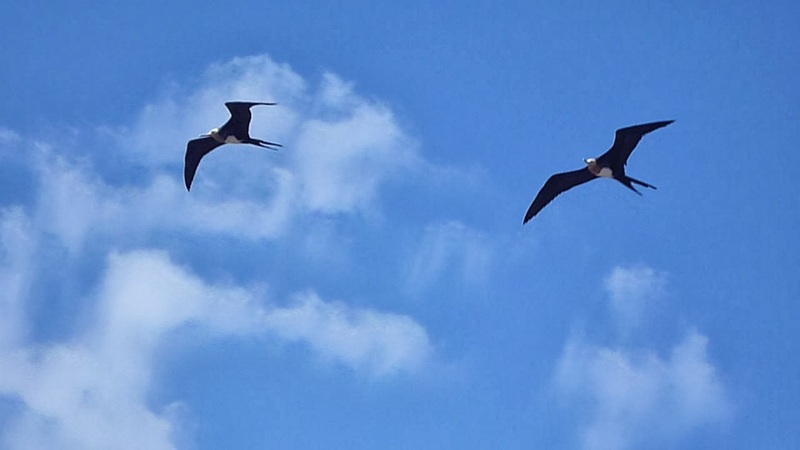 Pterosaur reports have also emerged from Mexico, and from South America. The late J. Richard Greenwell, onetime secretary of the International Society of Cryptozoology, had a Mexican correspondent who claimed that there are living pterosaurs in Mexico’s eastern portion and was (still is?) determined to capture one, to prove beyond any shadow of doubt that they do exist. Worthy of note is that certain depictions of deities, demons, and strange beasts from ancient Mexican mythology are decidedly pterodactylian in appearance. One particularly intriguing example is the mysterious ‘serpent-bird’ portrayed in relief sculpture amid the Mayan ruins of Tajin, in Veracruz’s northeastern portion – noted in 1968 by visiting Mexican archaeologist Dr José Diaz-Bolio, and dating from a mere 1000-5000 years ago. 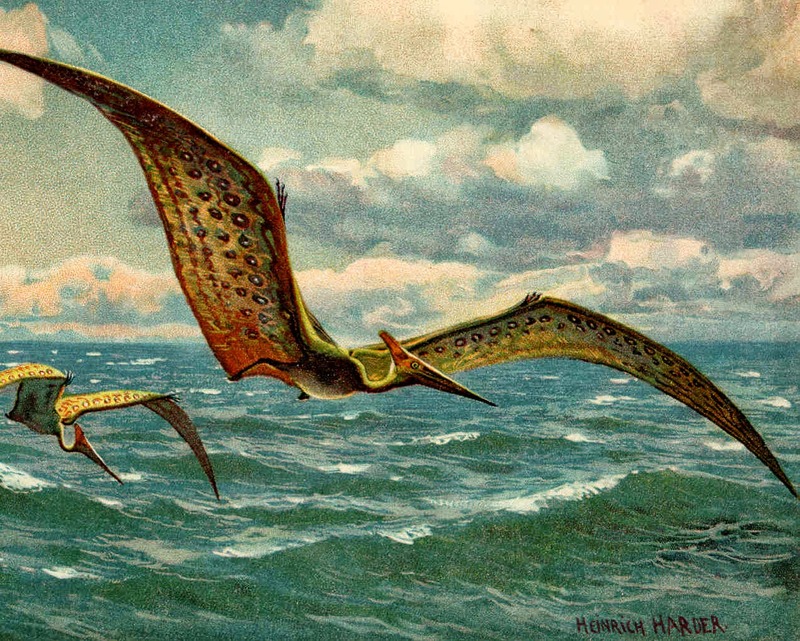 Yet all pterosaurs had officially become extinct at least 64 million years ago. So how do we explain the Mayan serpent-bird – a non-existent, imaginary beast, or a creature lingering long after its formal date of demise? Although neither solution would be unprecedented, only one is correct – but which one? Around February 1947, J.A. 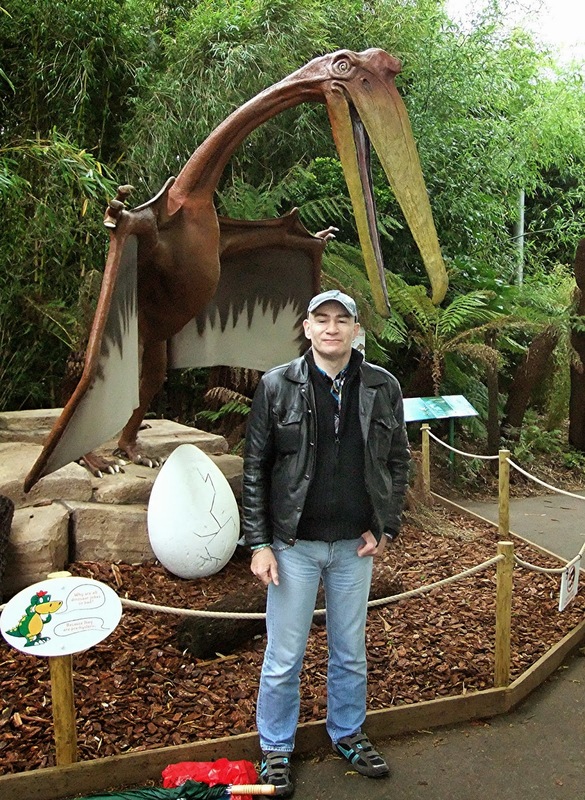 Harrison from Liverpool was on a boat navigating an estuary of the Amazon river when he and some others aboard spied a flock of five huge birds flying overhead in V-formation, with long necks and beaks, and each with a wingspan of about 3.75 m. According to Harrison, however, their wings resembled brown leather and appeared to be featherless. As they soared down the river, he could see that their heads were flat on top, and the wings seemed to be ribbed. Judging from the sketch that he prepared, however, they bore little resemblance to pterosaurs, and were far more reminiscent of a large stork – three of which, the jabiru Jabiru mycteria, maguari Ciconia maguari, and wood ibis (aka wood stork) Mycteria americana, are native here. 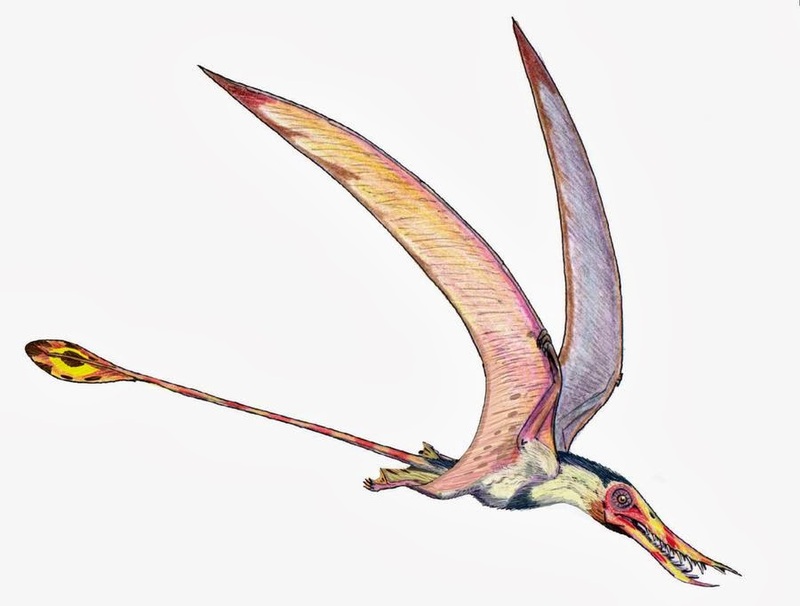 In any case, it is North America, which was once home to such prehistoric giant versions as Pteranodonand Quetzalcoatlus, where most alleged pterosaur sightings have been claimed within the New World, leading some cryptozoologists to speculate whether these latter forms have undiscovered descendants existing here. 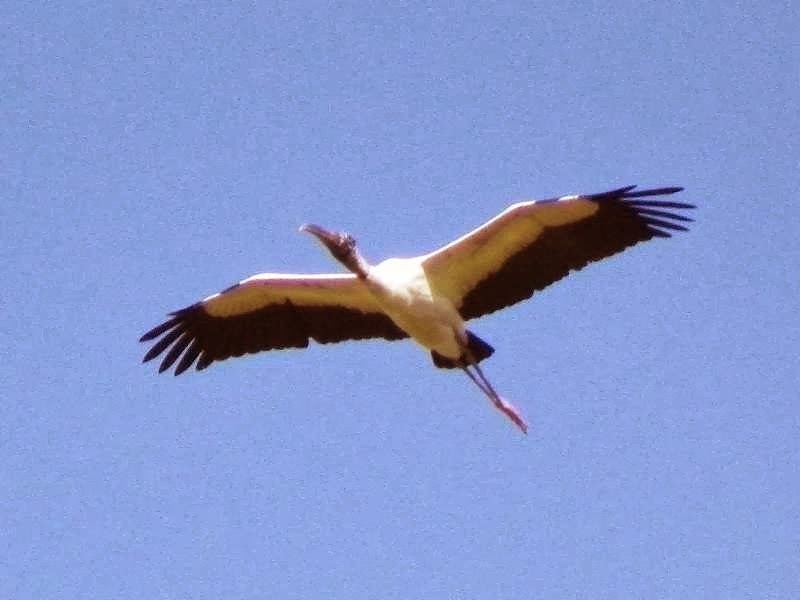 It seems exceedingly unlikely, but the sightings remain on file to tantalise and bemuse, with conservative identities such as pelicans and condors failing to match eyewitnesses’ descriptions. 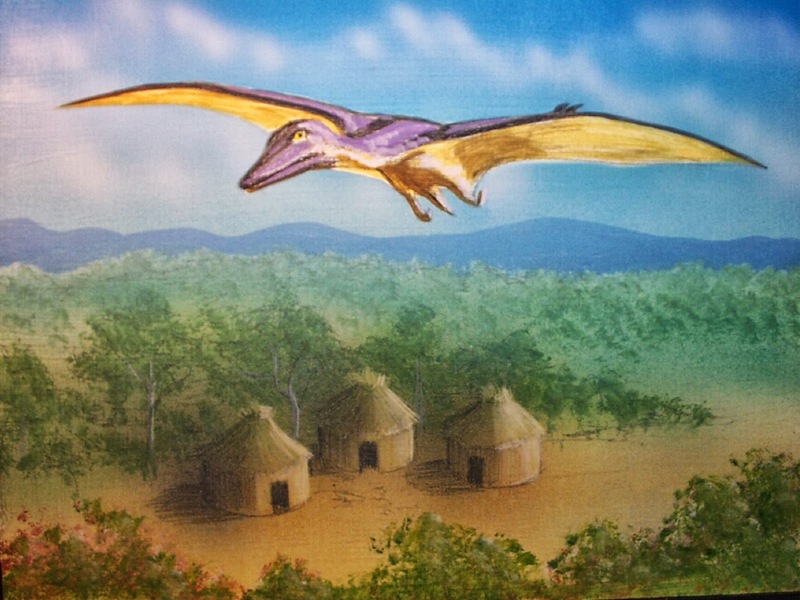 Investigator Bruce Irwin visited Papua New Guinea in summer 2001 and interviewed several native eyewitnesses, who confirmed that back in the 1970s the duah had been much more common and used to be seen flying together in small groups at night, but nowadays only solitary specimens were observed. Visiting the nearby island of Umboi to investigate ropen sightings there, Irwin interviewed a policeman and other locals who had seen it, and on nearby Manaus Island he spoke to a school headmaster who saw one in a tree on Goodenough Island, but he did not succeed in doing so himself. Fellow investigator Jonathan Whitcomb also interviewed eyewitnesses on Umboi, including some who claimed to have spotted a huge specimen (a duah?) 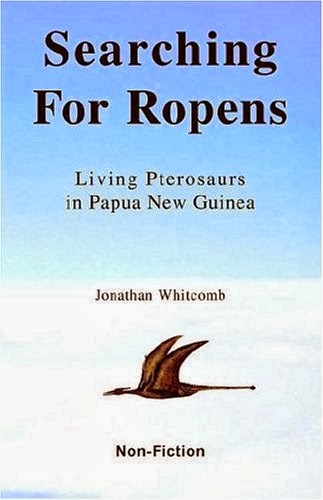 while hiking near Lake Pung as boys in or around 1994, – as revealed in Jonathan’s book Searching For Ropens: Living Pterosaurs In Papua New Guinea (2006), which is the first of several authored by him on the subject of living pterosaurs there and elsewhere around the world.